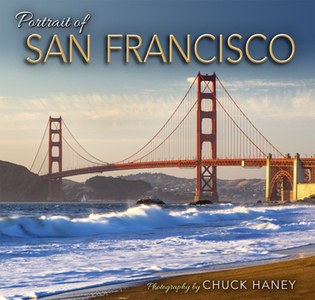 Showcases the stunning work of nationally acclaimed photographer Chuck Haney and printed in a beautiful full-color, hardbound edition. Iconic landmarks and attractions, diverse people and neighborhoods. Dazzling cityscapes and breathtaking bay views. Chuck Haney is a professional freelance photographer and writer based in beautiful Whitefish, Montana. He travels extensively across the United States and Canada in pursuit of the finest and most intriguing images. His provocative use of natural light in landscape, wildlife and outdoor sports images have drawn national acclaim and have landed him many assignments including advertising campaigns. Chuck’s finest images grace the walls of many residential and public spaces. 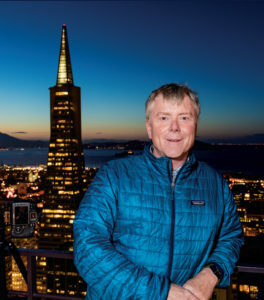 His travel and outdoor lifestyle articles have been featured in numerous national and regional publications; adding to thirteen coffee table books, over 190 magazine covers, and sole-photographer calendars to his credit. Chuck enjoys teaching a series of popular photography workshops across the country each year.